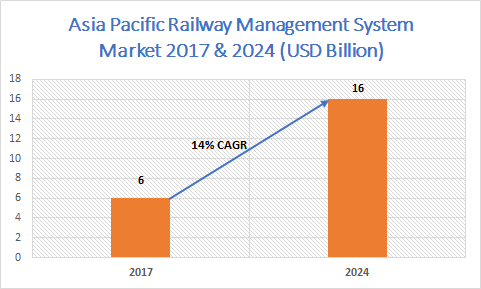 Asia Pacific Railway Management System Market revenue in 2017 was more than USD 6 billion and is projected to grow at a CAGR of over 14% by 2024. Rapid urbanization, booming economy, and rising disposable income are the factors contributing to the market growth in Asia Pacific. The region is embracing advanced technologies to pave its way to the railway management system market. Various government initiatives for bringing about digital transformation and modernization in the region’s rail network will also drive the market. In February 2015, the Indian government announced to invest USD 137 billion in the railway network over the next five years for transforming railway infrastructure and rail assets. China has also invested USD 456 billion for expanding its urban rail transportation by 6,000 km by 2020. The adoption of smartphones in countries of APAC, especially India and China, has increased rapidly over the last decade. In this prevailing smartphone era, applications have been progressive in terms of delivering real-time information and ticketing solutions, necessary for enhancing mobility in stations. For instance, the East Japan Railway Company’s mobile application provides detailed information about the availability of services in the country’s stations. This has made it easier for passengers to travel around the country, augmenting market demand. 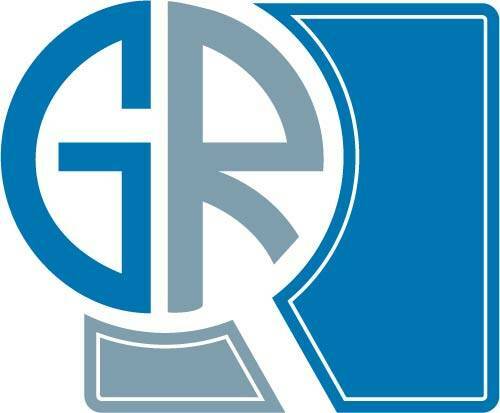 The rail operation management systems are projected to grow at a CAGR of over 12% between 2018 to 2024. The rail operation management systems assist in streamlining the rail operations, enhancing safety and security and providing enhanced environmental protection. These systems offer sub-modules including facility management solution, revenue management solution, workforce management solution, ticketing management solution, and rail automation management solution, thereby configuring fare policies, controlling ticket stocks, and tracking customers. China is leading the Asia Pacific railway management system market with a market share of over 30% in 2017. The Chinese government has introduced various initiatives such as Made in China 2025, which assists in the development of intelligent vehicles, thereby creating a favorable climate for the development of railway management system solutions. In October 2017, the first trackless train running on virtual railways started operating in China. These trains carry a huge amount of information, augmenting the market adoption rate in this region. The key players functioning in this market include Hitachi, Huawei, Tech Mahindra, Toshiba, General Electric, IBM, and Siemens. These players are focused on expanding their share in the global market by investing in the R&D to develop innovative signaling and transport solutions and services.